Stagecurtains.in produce Custom Auditorium Curtain and drapes every year. There are a lot of options in stage curtains and auditorium curtains — especially when it comes to fabrics and materials. We help you to assist you to select the right fabric and see that your curtains and draperies are made according to your exact needs. We use only the high-quality fabric to stitch curtains. Our immense variety can suit any environment such as theatres, schools, offices, auditoriums or gyms. Our products are long-lasting, lustrous and pocket-friendly in both cotton and synthetic varieties. Different types of fabrics are suitable for different styles, depending upon the two major categories namely vertical and horizontal. Vertical styles favour less weight and more fluff. Whereas, horizontally parting curtains can endure heavy weight fabrics such as velvet. Their pricing will also vary depending on the category and the fabric. There are innumerable options for choosing shades and colour. We also flame shield them upon the request of the customer. The inherently flame resistant material can also be made available on demand. The vertical style fabrics are ordered only upon customer’s request to the exact amount of order. Following are the two major divisions of styles and their respective velour. 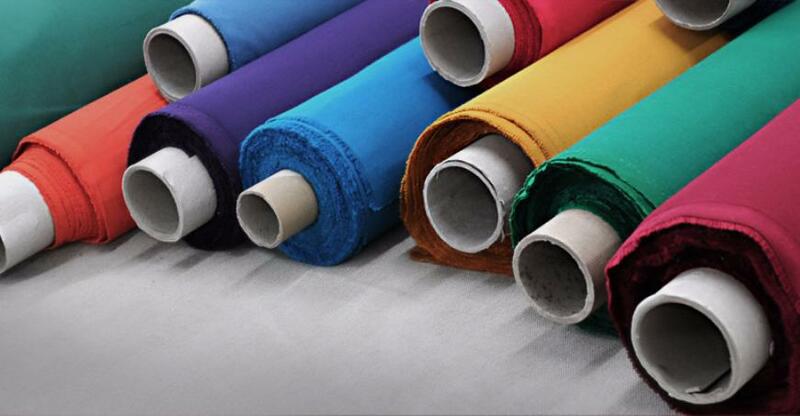 You can read our fabrics by type below.